Côte-de-Nuits – South of the city of Dijon and North of the town of Beaune famous for it’s Pinot Noir. The best known villages are: Gevrey-Chambertin, Morey-St-Denis, Chambolle-Musigny, Nuits-St-Georges and Vosne-Romanée. 5% of Burgundy production including Chablis. Côte-du-Beaune – The area around and South of Beaune famous for Chardonnay including the 5 Grand Cru vineyards and many very good Pinot producing vineyards. The best known villages are: Puligny-Montrachet, Chassagne-Montrachet, Mersault, Volnay, Pommard and Saint Aubin. 10% of production including Chablis. Mâconnaise – The least regarded of the main regions, still capable of producing some very good wines. The trick is getting to know your producers and the villages they have plantings in, and, the specific vineyards they hold within these villages. The single vineyards are known as “Climat” sometimes the single vineyards are surrounds by walls and the “Climat” is called a “Clos”, walled vineyard. Within a single vineyard there are often “Lieux-dits”, these are parts of the single vineyard that have a specific topography or historical nature. Let’s drill down with an example going down to the single vineyard level. Village: Gevrey-Chambertin (3 down on the right from the top) on the map above. Single Vineyard or Climats: Chambertin, The best known Grand Cru vineyard. You can see where it is in the village of Gevrey-Chambertin in the map below. Number of Owners: Last time I looked there were around 23 owners of part of the Chambertin vineyard, just as many négoce wines (wines made with fruit purchased from vineyard owners). Number of Wines Made: and Labelled “Chambertin Grand Cru”. Around 40 with a dozen producers doing a good job. Wine is produced from vineyards owned or leased by producers or from purchased fruit. This is where you really need to get to know your vineyards and producers! Frances hereditary title laws have seen lands vineyards split between siblings to the point where some hold so few vines of a plot they can not even make a single barrel of wine from it. These usually end up being sold or leased. To understand Burgundy you need to know a few key things. Where the fruit comes from? If it’s classified “Village” or “Premier Cru” is it a good village or lesser one for that variety? 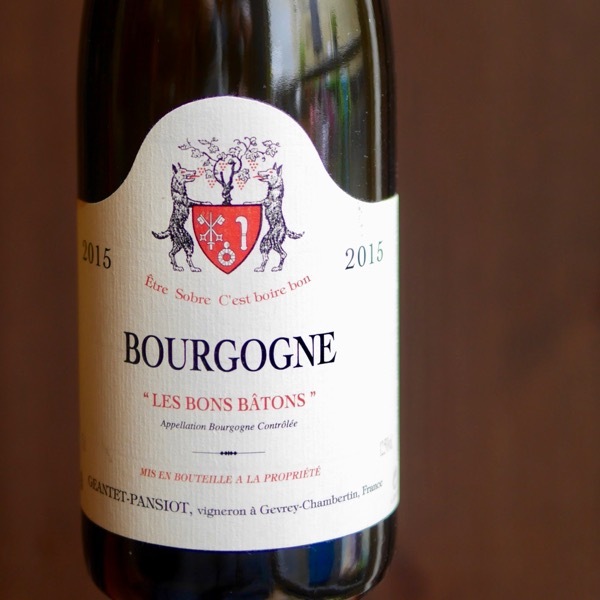 If it’s classified “Bourgogne” where does the fruit come from? Philippe Chavy’s Bourgogne entry level Chardonnay is made using fruit sourced from Puligny-Montrachet, 90%, and Mersault 10%. Basically, it comes from two of the best villages for Chardonnay in Burgundy. Yet, it is still classified Bourgogne as would be a Chardonnay of this classification from a lesser village. Which are the best vineyards? If it’s a Grand Cru vineyard it’s been identified as one of the best. After that, it’s great to look for Premier Cru vineyards that sit right next to a Grand Cru. The Premier Cru Chardonnay vineyard “Les Pucelles” in Puligny-Montrachet is right next to the two Grand Crus Bâtard-Montrachet and Bienvenue-Bâtard-Montrachet. Then the Village Vineyards right next to a Grand Cru or Premier Cru vineyard. There are also some well-known Premier Cru vineyards, such as Les Amoureuses in the village of Chambolle-Musigny and Clos Saint-Jacques in the village of Gevrey-Chambertin and Les Grandes Ruchottes in Chassagne-Montrachet that consistently perform at close to Grand Cru levels. So close, that Burgundians, unofficially give them that status, and, the price of the wines reflect it. Which are the best producers? A matter of experience. The challenge is the vineyard rating is indicative of the “potential” of the vineyard only. A bad operator will take a Grand Cru vineyard and turn it into pretty ordinary Pinot or Chardonnay. A good operator can take a decent vineyard classified as Bourgogne or Village and make something that deserves to be further up the classification. If all else fails … Ask us at WINE DECODED! It just takes a lot of time and a lot of drinking. 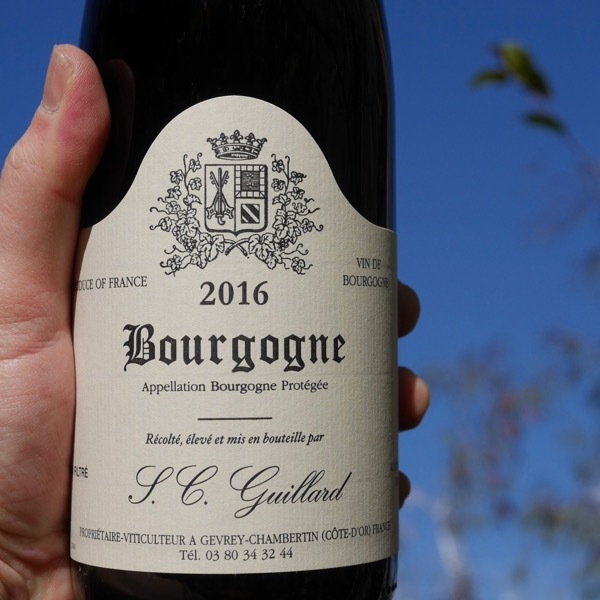 Read Getting Your Head Around Burgundy Part 2. Join the Wine Decoded Community to make sure you don’t miss out it’s free! The further exploration of the Climats and Lieux Dits in Burgundy was prompted by Peter M one of Wine Decoded’s community members. Thanks Peter! The use of Climats and Lieux Dits in Burgundy has been used to great effect, highlighting the potential (I say potential as the vigneron can still stuff up the vineyard and the wine) quality of different vineyards. We have seen this approach spread across the world with single vineyards wines becoming commonplace. In Australia, there have been attempts to establish distinctions across some of our wine regions. Think Mac Forbes Map of the Yarra Valley and its sub-regions, the Barossa Grounds Project, and, the McLaren Vale Scarce Earth Project. None have yet to reach the level of detail established with the Climats in Burgundy. Back to Burgundy, the video below is an excellent explanation of Climat. 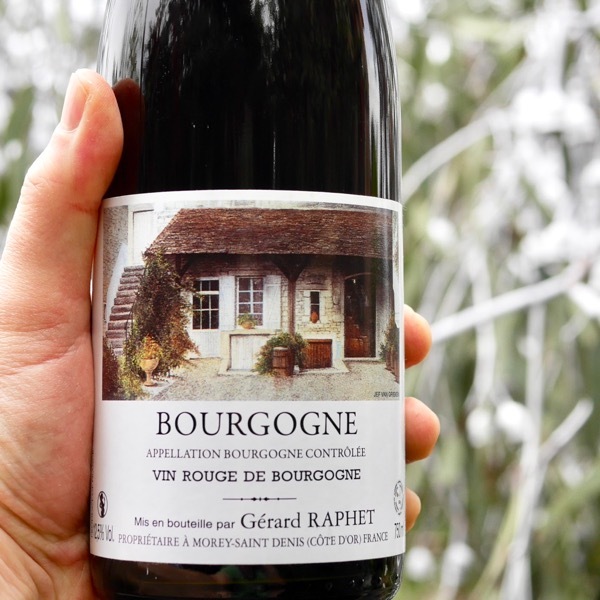 The Climats confer their own unique organoleptic qualities onto the wines of Bourgogne, such as their appearance, aromas, flavours and texture. BURGUNDY’S VINEYARDS – “CLIMATS” OR WHAT? When the Romans settled in Burgundy, they planted vines on the plains, at the foot of the Côte d’Or to their West. During ensuing centuries, land was gradually cleared on the forested slopes of the Côte, mainly for mixed farming including grape growing. This land proved highly suitable for viticulture, with the slope providing drainage, adequate nutrition and good exposition to the sun. Thus, over time, viticulture became the main agricultural pursuit of the Côte. As vineyards were developed, they became known through common usage by individual names (that is, place-names, in French lieux-dits plural, lieu-dit singular). Such names served, in effect, as geographic identifiers, somewhat analogous to an “address”. Their origins often lie in aspects of the landscape – for example, the word “Charmes”, which is found in quite a few lieux-dits, refers most probably to the hornbeam tree having been planted on the site before clearing for viticulture. In 1807, Napoléon initiated a plan (the Cadastre) to survey France’s lands, with Burgundy being surveyed mainly in the 1820s. This survey thus gave official recognition to the many hundreds of existing lieux-dits. But, more than that, it delineated the plot(s) of the individual owner(s) within each lieu-dit – the survey being necessary to support the title to the land, as is the case with the Australian land registry systems. In the main, vignerons referred to these same vineyards as climats, which has vague connotations of weather/exposure/slope etc. Thus, the term was used interchangeably with lieu-dit. Gradually, however, the word climat became used in the context of a vineyard’s “quality”. Thus, when Burgundy’s vineyards were classified qualitatively, via the 1935 AOC (Appellation d’Origine Contrôlée) system, the term “climat” was reserved for the top 2 tiers (grand cru and premier cruvineyards), although in the vast majority of cases the named climat is identical to the corresponding lieu-dit. In contrast, the third quality tier – village-level vineyards – were officially recognised only as lieux-dits. There are many named vineyards – lieux-dits – that are not recognised individually in the above, top three, tiers of the AOC classification. Such individual vineyards thus have no official status and are grouped together under a collective appellation such as Bourgogne. However, some makers do quote the name of the vineyard/lieu-dit (e.g. Domaine René Cacheux’s Bourgogne “Les Champs d’Argent”). Presumably, this reflects the fact that this wine comes from a specific vineyard within the respective village boundary (in this case, the village of Vosne-Romanée) despite the fact that the AOC deemed this lieu-dit worthy only of a generic Bourgogne classification. To put a contemporary spin on this topic, since the Côte d’Or was given World Heritage listing in 2015, the official Bourgogne Wine Board (BIVB) has focussed on use of the word “climat” to describe all of the classified vineyards – despite its use being restricted by the AOC to the top two tiers. This reflects the fact that the nature and uniqueness of the Côte’s climats was a major focal point of the campaign to achieve World Heritage recognition.